CP Enterprises is a locally owned and operated general construction company that services southeast Louisiana. 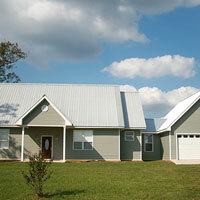 It has two fully certified contractors and multiple sub crews it employs for both new construction and renovation. The company is licensed and insured for commercial and residential construction and prides itself on its design capabilities and energy-efficient skills. Regardless of the task–“green” assignments or assisting in the design of shopping centers–CP Enterprises will do the job right, the first time, to everyone’s satisfaction. These are masters of craft and design who provide, when requested, professional prints from their own contractors with every job. Above all, CP Enterprises works for you. For almost two decades CP Enterprises has worked for hundreds of clients who can attest to their craft and fairness. CP knows its clients’ needs and will complete every request–from kitchen repair and retail outlet remodeling to hotel renovations and residential planning. If you’re searching for the total construction company capable of handling any project from beginning to end, CP is the team to exceed all expectations. in a timely and affordable manner. remodeling and renovations for the commercial and residential industries throughout southeast Louisiana.